Even in Japan, Naginata is still a developing art, with practitioners number far removed from those of Judo or Kendo. Oversea, while spreading across countries for more than 30 years now, numbers are still small. Frequently labelled as a feminine art, only the recent years are seeing a surge in male participation in Japan, following the unexpected development of a male majority in oversea Naginata. All those factors have influence on the variety and quality of available equipment for the practitioners, even in Japan. It is not rare that beside a rich choice of various Kendo equipment adapted to all kind of training occasions, you find the Naginata corner and the shopkeeper shows you the one item and says “This is for Naginata”. 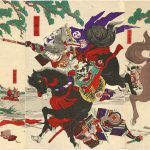 The Naginata practitioners then often finds him/herself in front of the no-choice of taking what is there. And quality, adaptation to the level or the body of this practitioner becomes a luxury soon forgotten. Tozando endeavours to improve that situation by enriching it’s Naginata section with carefully selected items. It is often a long process because there are so much things that simply do not exist. 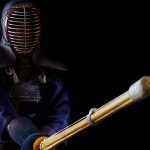 Look at every Kendo shop Kote corner and be amazed by all the design, purposes, materials variations and so on, and beside you will have “the Naginata Kote”. One pair. …No more. We are proud to offer what is probably the widest selection of Naginata Kote available online. Combining advises from our own ranked Naginata practitioners, customers, and the expertise of our craftsmen, we were able to provide the classic… and the unique! As of today you can find on our shop a full line-up, from the well known White Kote, all the way to unique, full custom Naginata Kote. 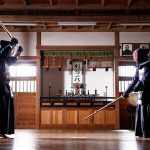 In this line-up, I want to particularly showcase in this article a product unique to Tozando, the High Protection Tornado Stitch® Naginata Kote. It has long been a belief among Kote craftsmen that “In Naginata, you don’t hit Kote as hard as in Kendo”. Which can be an understandable statement from Japanese craftsmen used to provide mainly for kids and teenage girls. The rise of adult male population in Naginata, especially oversea, somewhat changed that statement. Usually, Naginata or Kendo beginners in Japan are aged 6 to 12. Physical strength is then vastly different from the core of our oversea community, which is reversely is composed mainly of adults and young adults male. Amd the combination of developing skill with greater physical strength called for adapted protection. In short, better be well padded while you partner learns to control his strength and waza! The High Protection Tornado Stitch® Naginata Kote was born out of the constatation that a different population might need adapted gear. 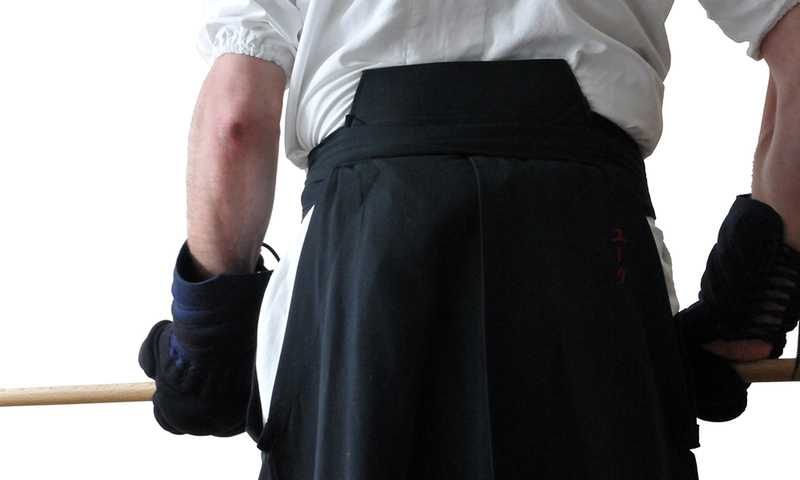 We then adapted our popular patented Tornado Stitching to a Naginata Kote. This unique stitching generate thick padding, exactly perpendicular to the blade that strikes kote area. It will then offers one of the best possible cushioning against strong blows. And of course coming from the Kendo world, the Tornado stitch would be your choice companion for the much appreciated and wildly enjoyable ishūjiai (mixed combat) between Naginata and Kendo! 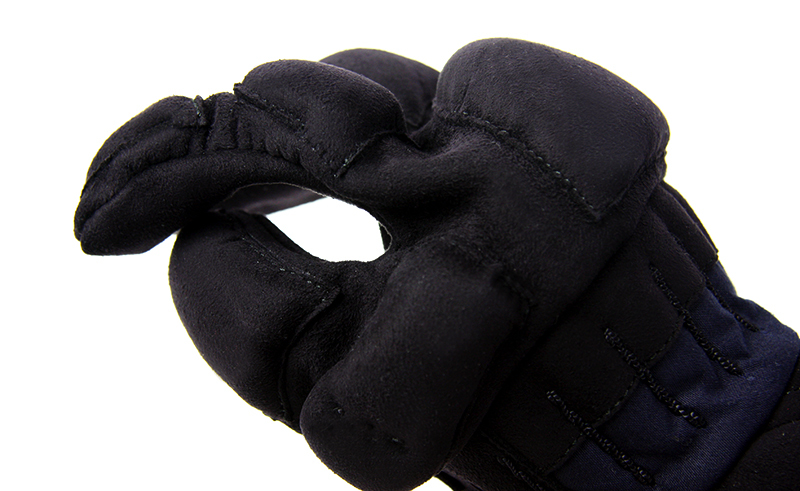 As the demand is still small, conversely we can offer a semi-customization with this special padding. You will be able to choose then your own balance between durability and comfort, depending on your taste or level. 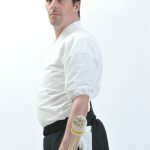 Of course, I could sing you the amazing features of this Kote, but I’d rather let a well known and respected member of our Community, Mark-sensei, 5th Dan from Netherland and European Federation Technical Director, share his thoughts about the High Protection Tornado Stitch® Naginata Kote. My good friend Mark Sensei came over to Japan last year, and while he entrusted us with fixing his own Kote pair, I offered to lend him one of the early High Protection Tornado Stitch® Naginata Kote prototypes for him to test in training situation. In the beginning of November 2017 I was visiting the Tozando store in Kyoto. As I had my own kote in repair I was offered to try the Tozando trademarked Tornado style kote during my stay in Japan. The same week I joined the Naginata men’s seminar at Sakai, Osaka. This was a seminar from 10 until 5 with mainly bogu practice. A perfect occasion to try out the kote. What I noticed first of all was that these kote were soft. I was used to having 2mm stitch kote which are quite firm and rigid, so wearing these relatively soft kote was quite a change. The kote weren’t made to fit my exact size but even while they were a bit larger the seemed to feel nice while holding the naginata. I noticed that my hands got quite warm shortly after putting them on. This may have been caused by the thick padding made from deer hair on the back of my hand. It may also have been caused by the thickness of the padding on the hand. I noticed this most on my thumbs where it seemed just a bit too much (this may have been caused by the sizing). During the seminar I noticed that even though these were new unused kote the protection was very good and the softness actually made wearing them more comfortable than my own. 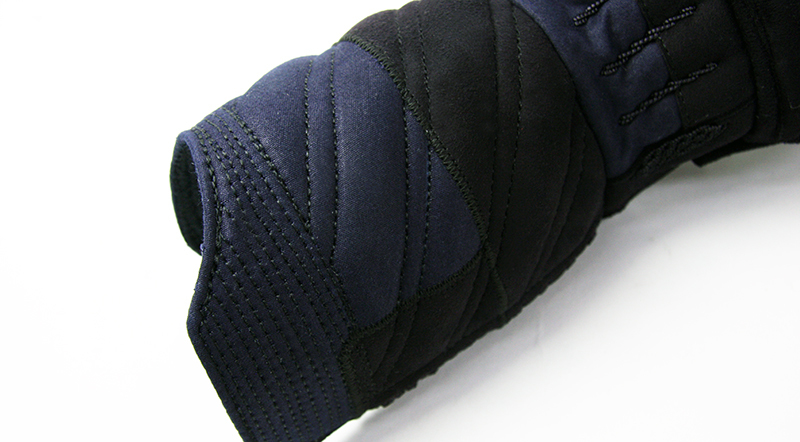 The way the tornado wrist padding is stitched makes for a large area where impact can be absorbed. 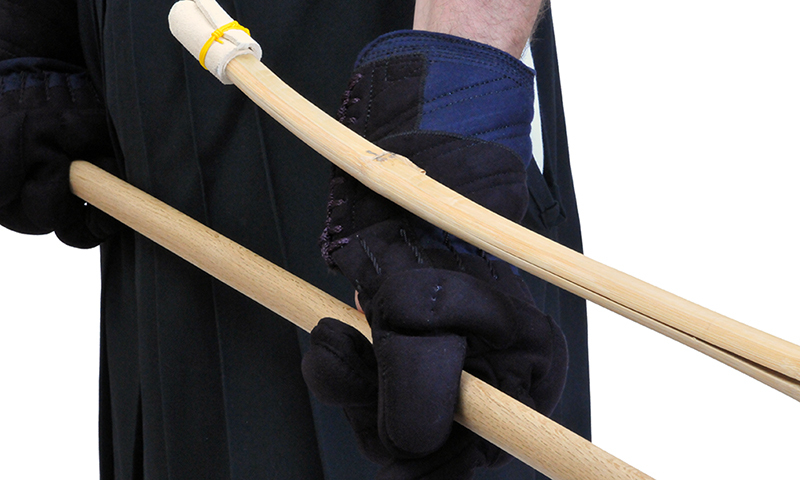 The kote I was wearing were prototypes for the Naginata variety of the Tornado kote, so some of the padding will be adjusted for even better protection so that the knuckle of the index finger is better protected and specifically the target for Naginata has added protection. In general I liked these kote very much and am very eager to see what the final product will be like once the experts are done with the design. 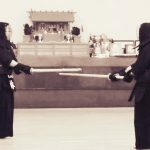 From this experience and other tests, we then went on tweaking the Kote and then we made it available for the Naginata community. 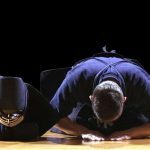 This process was the perfect example of how Tozando endeavors to live up to its founding purpose of providing quality Budo equipment for the practitioners around the world. From identifying an unaddressed need all the way through designing, building and making a quality solution available to the community, we believe that our expertise and assets can be one of the best response to our customers demand. The High Protection Tornado Stitch® Naginata Kote is made to order in our own factory in Iwate, by craftsmen who have been making Naginata Kote for decades. We hope you will have a fruitful and safe keiko with our products.